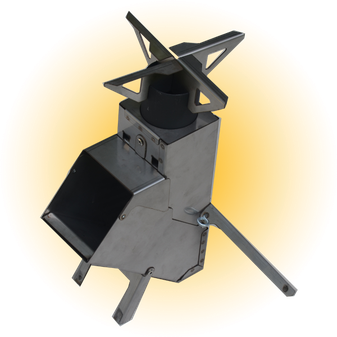 This all stainless steel super high-tech gasification rocket stove is design to be compact and lightweight (3.8 lbs and 4X10 inches in size when folded up). This is the only rocket stove that can be used for both grilling, cooking and can be utilized as a lantern. This stove can use with pellets or sticks and twigs. 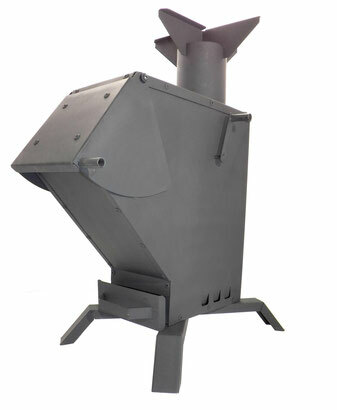 The rocket stove uses wood gasification and super-heated injected air to optimize combustion. 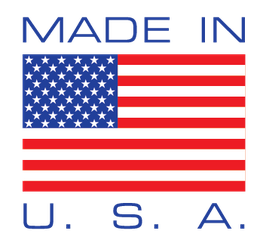 You'll get FREE SHIPPING on the Indiglow Rocket Stove when purchased with a Liberator Rocket Heater! The RPG is the only stove like it on the planet. 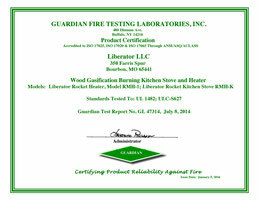 This stove can run on wood logs upto 17.5″ inches long, 6 inch wide fuel shute allows you to load in the wood. 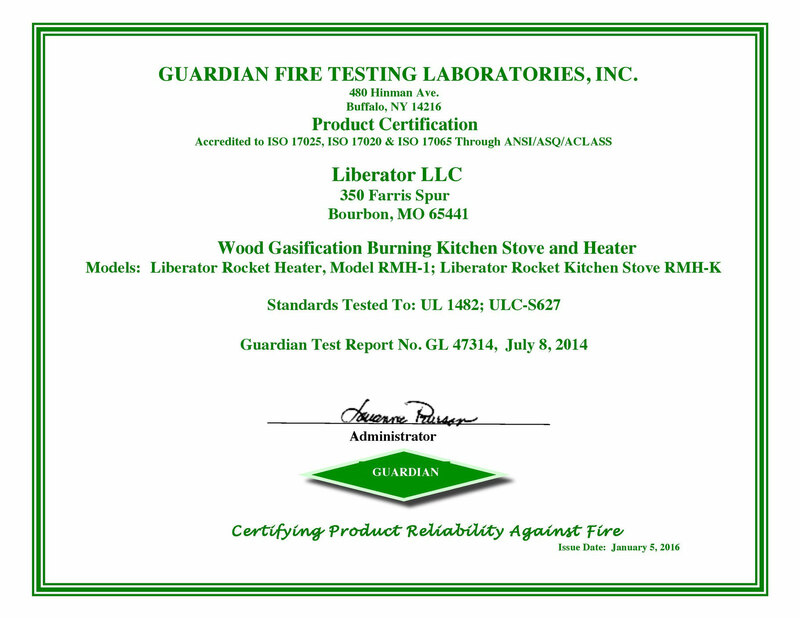 The stove can also burn wood pellets without any adapters. Just simply flip up the internal pellet diverter and load in over a gallon of wood pellets allowing the system to run for upto 2 hours without refilling. (with proper vent damper). The RPG can put out enough heat to the burner to cook for a large group or family. The Griddle Me This, cook top allows you to boil water on the stove cook top, while cooking food on the stainless steel cook surface.